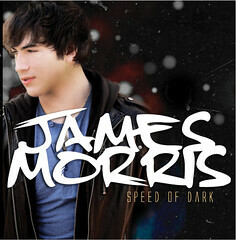 San Diego, California – San Diego based singer-songwriter James Morris is a storyteller whose music and lyrics describe his everyday observations of life with raw, natural honesty.With the upcoming release of James’ new EP, SPEED OF DARK, produced by multi-platinum producer/composer Gardner Cole, you will get a glimpse into the soul of this 17 year-old high school student. “What first attracted me to working with James is that he’s a great songwriter. There’s a craft to writing and he’s got it, he’s very talented for any age, but it’s really exciting that he’s only 17…He’s that good,” says Cole.